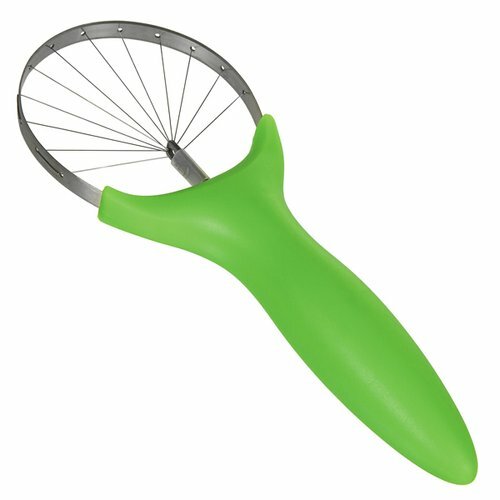 Create perfect Avo slices for salads, sandwiches and more. Remove the stem, cut the avo in half and twist. Hold the avo skin side sown beginning on the large end of the avo making a scooping motion to the thin side.